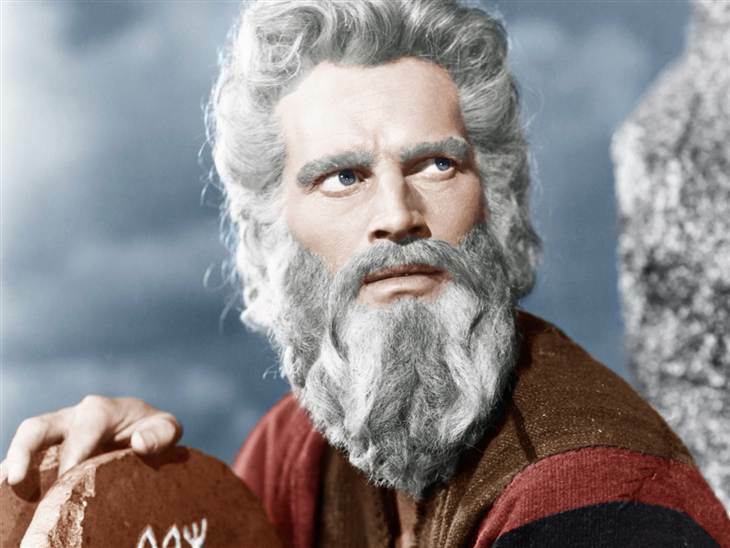 The recent passing of Charlton Heston sparked a pretty intense childhood flashback from the 1970s, when I was able to stay up past my bedtime to watch The Ten Commandments on television. I was mesmerized with Charlton Heston, Yvonne De Carlo, Yul Brynner, Debra Paget, Edward G. Robinson, Anne Baxter, and Vincent Price. The Ten Commandments helped connect the dots in my young spiritual imagination. The story from Sunday school suddenly had a Middle Eastern landscape, a baritone voice, gaudy make-up, and far more dynamism than a flannel-board lesson. 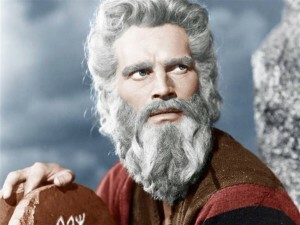 In working on Heston’s obituary, the Los Angeles Times unearthed an illuminating story it had published in 1956 titled “Moses Film Awes Portrayer: Actor Charlton Heston tells of drama in ‘Ten Commandments.’ ” In preparation for his role, he memorized lengthy passages from the Old Testament and persuaded director Cecil B. DeMille to allow him to portray the Mount Sinai scene barefooted, to add to the credibility of his role. “I stood on the ground where he stood, breathed the air he breathed, and was almost overwhelmed by the thought that here Moses became the only man in recorded history to meet God face to face,” Heston told the Times. Over his illustrative career, Heston played many religious characters, including Michelangelo (The Agony and the Ecstacy), John the Baptist (The Greatest Story Ever Told), and Judah Ben-Hur (Ben-Hur). Of his many roles, he once joked, “I have played three presidents, three saints and two geniuses. If that doesn’t create an ego problem, nothing does.” Those who knew him best, however, report that he lived with great humility. A life-long and faithful churchgoer, Heston immersed himself in the stories of Scripture. There was even a four-part documentary series produced titled Charlton Heston Presents the Bible, shot on location in the Holy Land as he read from the Scripture and discussed historical facts about biblical locations and events. Heston’s observations regarding contentment, happiness, and commission took on an interesting perspective as they relate to American Gangster co-stars Denzel Washington and Russell Crowe. Leaving analysis of the film to others, I became far more interested in the way the two Academy Award-winning actors view their craft and commission. Both men are considered to be in the top echelon of their profession, deeply respected as actors, and able to command top-dollar for their performances. 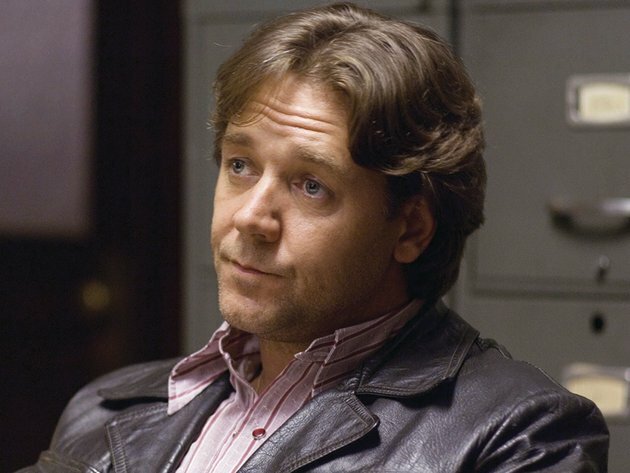 Master and Commander, Training Day, A Beautiful Mind, Philadelphia, Gladiator, and Malcolm X are just a handful of Washington’s and Crowe’s noteworthy performances. Both of them literally stepped into the ring and took the body blows to play boxers in The Hurricane and Cinderella Man. Most recently, the two actors have become more outspoken about their spiritual lives. Washington has been more well-known as a believer because of his long-time membership at the West Angeles Church of God in Christ—a megachurch in South Central Los Angeles. For the recent spectacular audio project “ The Bible Experience,” he and his wife, Pauletta, give voice to the Song of Solomon. Washington ’s father was a Pentecostal preacher who simultaneously worked for the water company during the day and as a security guard at night. “I think every event in my life has been touched by God,” Washington confessed to Parade several years ago. “I remember sitting in my mother’s beauty parlor in New York on March 27, 1975, and in the mirror I kept seeing this woman looking at me.” He was a 20-year-old student at Fordham University at the time. As a young man, Washington found himself exploring Eastern philosophies and reading the Qur’an in his search for personal meaning and inner peace. In 1979, director Robert Townsend took him to West Angeles, and he found the spiritual sanctuary he had been looking for. His stature within Hollywood gives him a certain degree of persuasive power regarding some aspects of his projects. For a film such as The Great Debaters—which he starred in and directed— Washington is outspoken about his use of prayer to help him make decisions. “Every major decision I made, I made through prayer, about who I was picking to be in it, what it was I was trying to say, praying that the film was saying the right thing and that it would reach the right people,” he said. Prayer is the way he begins and ends his day. 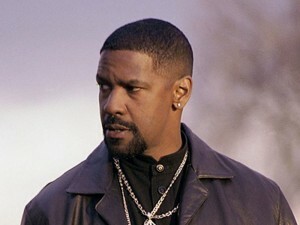 Portraying the corrupt policeman Alonzo Harris in Training Day is the role that landed Washington an Oscar, but it was also the film he warned Bishop Blake not to see. “Pastor, I don’t know if you will want to see this film,” Washington said. Nevertheless, there was a message he wanted to send in portraying the role. Washington’s co-star in American Gangster, Russell Crowe, is not one that would likely end up on an Entertainment Weekly list of the deeply religious in Hollywood. Instead, he has the reputation of being a brilliant—albeit moody and short-tempered—actor who doesn’t suffer fools gladly. Nevertheless, he is a far more complex individual than the subjects of some of the pugnacious stories that end up on the gossip pages. When not working on a movie set, he is a devoted musician who has been playing in his band for more than 20 years, as well as a rancher who tends to several hundred Black Angus cattle. As a world-famous actor with a young family, he prefers his Australian acreage in Coffs Harbour to the bright lights of Hollywood. Glock was startled. “You plan to get baptized now, at 43?” she asked. During the ritual of baptism, those participating are told that it is an “ outward and visible sign of an inward and spiritual grace,” which sounds remarkably similar to the kind of thing Crowe longs to signify. Somehow you get the feeling that this was the kind of thing that was racing through Charlton Heston’s mind and soul when he stood barefooted on the set of The Ten Commandments—looking to the heavens for contentment and happiness in the midst of his commission.